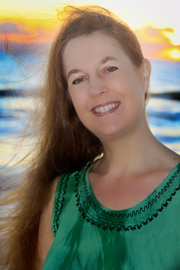 Brenda Hiatt is the New York Times and USA Today bestselling author of twenty novels (so far), including sweet and spicy historical romance, time travel romance, humorous mystery, and a new young adult science fiction series. In addition to writing, Brenda is passionate about embracing life to the fullest, including scuba diving (she has over 60 dives to her credit), Taekwondo (where she recently achieved her 2nd degree black belt), hiking, traveling, and pursuing new experiences and skills. She is an active member of Romance Writers of America, the Society of Children's Book Writers and Illustrators, and Novelists, Inc., an international organization of multi-published novelists, where she served as President in 2006. For the past dozen years, Brenda also collects data on writers' earnings, which she shares at her website.